I often get asked how I knew something was “wrong” with the boys and how I knew to push our Doctor to get them evaluated. It’s hard to explain to people because as a mom I just knew. I knew something was different. After the boys were evaluated and we were told they both had SPD I could look back and see red flags I had never identified before. 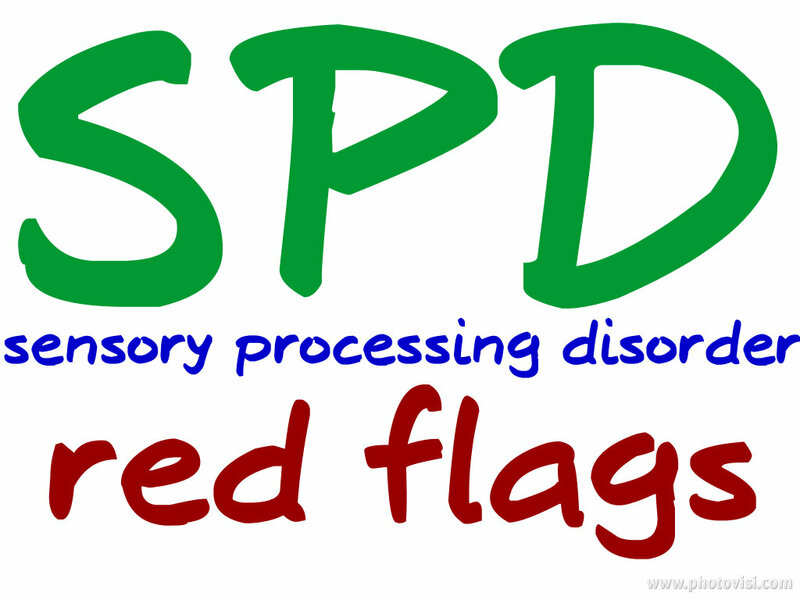 Since it’s Sensory Processing Awareness Month I wanted to share this checklist of red flags from the SPD Foundation that might indicate a sensory integration issue. If you find yourself checking off even one or two of these things I would head on over to the SPD Foundation’s website for a more detailed checklist of red flags. My 5 year old son has Sensory Integration Disorder. He was diagnosed when he was 2 1/2. His symptoms since then have grown and changed. Some things are the same, like how to calm him down when he is crying and really upset, and his eating habits, which we are slowly working on. He refuses to try anything new, and of course, we keep trying to ask him to try this or that, and sometimes he will, sometimes he won’t. Some days you would think he is ADHD or Autistic, which here they refuse to give him that diagnosis until he is 6. What difference does that make, I am not sure? But why wait until I already know what their answer will be?